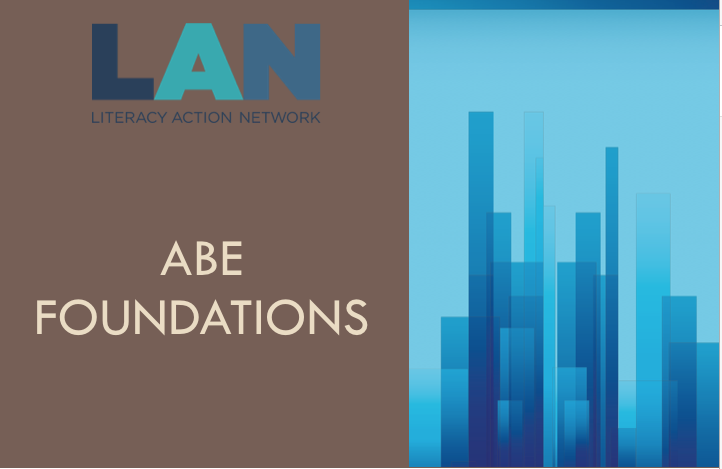 Literacy Action Network conducted four webinars between October 2017 and March 2018 as a means to train staff that have not been able to attend in-person ABE Foundations training, and as a means of furthering relevant PD for those who have attended. You may access the webinar recordings, powerpoints and materials below. Each webinar recording is approximately 1-1.5 hours in length. **Please note that CEUs were offered as part of the live webinars, but are not available for those viewing the webinars on their own. This webinar workshop is an overview of Adult Basic Education in Minnesota for administrators and instructors who are new to the field or would like a review of the basics. Topics covered include: ABE students and their goals; the ABE delivery system; funding; ABE content standards; adult secondary credentials; resources for instruction; and professional development. This webinar includes an introduction to CCRS, getting to the know the CCRS book, the three key shifts in ELA, the three key shifts in math, the ELP standards and resources for standards integration. This webinar provides a review of the previous three webinars, as well as an in depth look at career pathways for our learners and possible credentials offered in ABE. Plus, we will examine the role of supplemental service providers, professional development opportunities and online resources available in MN.